Fruits are one of the most essential components of a healthy diet. They’re rich in micronutrients like essential vitamins and minerals, which may be left out from everyday meals. Fruits can double up as healthy snacks and can also be added to your morning meal to improve nutrition and taste. There’s really no downside to consuming fruits – they’re delicious, full of flavour and nutrition as well as chock-full of antioxidants. Moreover, you can use them in a variety of yummy and creative ways to spruce up meals and desserts. One way you can add more fruits to your daily diet is by turning them into dried fruits and then adding to a number of dishes, or just munch on them as is. Dried Fruits: Are They Nutritious? 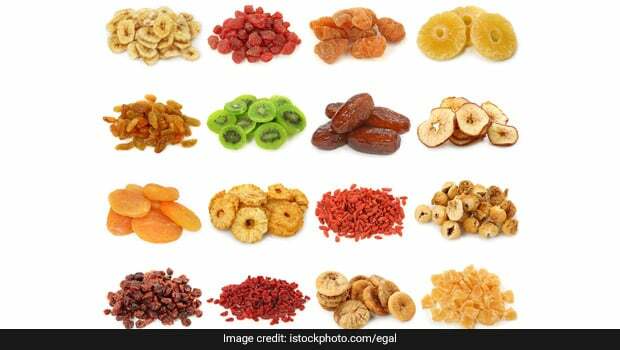 Dried fruits are prepared by drying up the water content in the fruits, which leads to the concentration of nutrients like fibre, vitamins and antioxidants, and calories in the resultant product. Dried fruit may be rich in calories, and hence, must only be eaten in small portions. However, the nutritional profile of the fruit is more or less intact even in the dried form. Dried fruits may lose some volatile nutrients in the drying process due to high heat that is applied to them, but they are still nutritious enough for consumption. However, dried fruits are healthier when they are prepared at home, as the store-bought varieties may have excessive sugar and calories. Moreover, stay away from the candied fruits as these are low in nutrition and high in calories and may even have artificial flavour-enhancers. 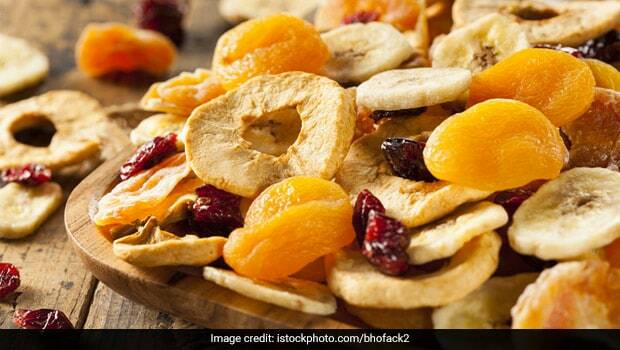 Also Read: Do Excess Dry Fruits and Nuts Heat Up your Body? Dried fruits have a number of health benefits, from regulating blood pressure and blood sugar levels to maintaining energy levels, as well as keeping the heart healthy. 1. Add them to your breakfast cereal bowl to make it more fibre-rich and to sweeten it naturally. Dried fruits like raisins, dried cranberries, and black currants can be added to non-sweetened oatmeal bowl and other breakfast cereals. 2. Add dried fruits to cookies, cakes and muffins to make them more fibre-rich and delicious. Dried fruits are naturally sweet, and hence, may be used in baked goods to replace processed or white sugar. 3. Add dried fruits to milkshakes and smoothies to enhance nutrition and make them more filling and, taste- and flavour-dense. Dried fruits are natural allies to all milk and milk-based foods and drinks. 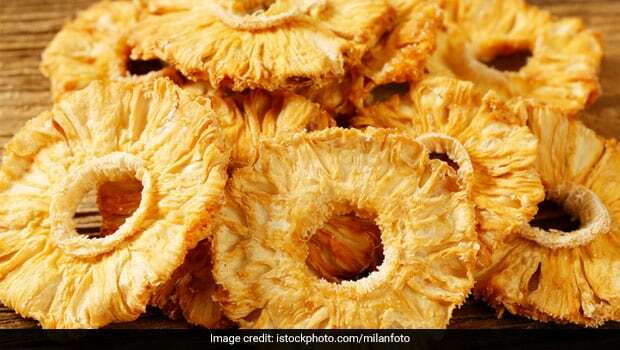 You can also stuff them inside various healthy cheeses and cheese dishes – the tarty, sweet taste of dried fruits perfectly complements the creamy taste of milk products. 4. Add dried fruits to a number of savoury rice dishes to make them richer and delicious. Biryanis and pulavs are cooked with a number of nuts and dried fruits to add a little sweetness to the mix. They can even be added to a number of vegetarian or non-vegetarian curries. 5. Dried fruits have a longer shelf life and hence you can also add them to trail mixes and store them for use in preparing meat stuffings. 1. Removing leaves and stems at the outset, allows you to work on the pulp. 2. Rinsing the fruit under clean, running water allows you to get rid of any dirt or debris that may be stuck to the fruit. Rub the fruit with your fingers to clean it properly and then dry it using a clean towel. 3. De-seeding the fruit ensures that the finished product doesn’t have any inedible components and just has pure dehydrated pulp and peel. The dried fruit should be chewy and not crunchy (overcooked) or squishy (undercooked). You can dry your fruit by using a dehydrator, an oven or even by drying it outside in the Sun, on a hot summer’s day. All three methods will give you a different texture and taste of dried fruit and you may do some trial and error to check which method you like the most. If you want to prepare dried fruit using the oven, pre-heat it to the lowest temperature setting before sticking the fruit in, and keep a close eye on fruit slices to make sure they’re not burnt. Homemade dried fruit will taste very different from the store-bough product, and it may take some time for you to get used to the taste. But once you do, we promise you won’t like it any other way!